Here is a selection of Tips and Trick you can use on your PS3 to get the most out of your console. Unlike DVD’s which are region coded, you can play games from any country on your PS3. For example, if your on holiday on America or browsing Ebay and find the newest game for a fraction of the price in your country, BUY IT! Your PS3 will play it. This is the PCSX2 emulator which was developed for Windows OS computers, however there is now a Linux version. The PS2 can have the Linux OS installing onto it’s hard drive (more info below). Installing the OS may take up to an hour. When you Have Linux OS running smoothly on your PS3, your ready! Have you ever moved your PS3 to a new TV, maybe a non High Definition TV, and when you switch it on the screen remains blank? This involves a simple trick to fix the issue, shut down your PS3 then restart by pressing and holding the power button. This will reset your PS3 to standard 480p graphics. The PS3 will then automatically detect would Resolution your TV can cope with and prompt you to change to the best settings. Now you can use your iPod touch or your iPhone as a remote control whhen your watching your latest blu-ray movie. All you need to do is make sure both your iPod/iPhone and your PS3 are on the same network. Have you ever been stuck on a game, maybe you can’t beat a specific boss? Simply download the ’save data’ and copy to a USB memory stick. Then plug it into your PS3. Go to the Game menu, choose your stick and the game save you downloaded. Press Triangle to copy it to your hard drive. Download FREE game save here! Now a note of disclaimer before we go any further, eCk PS3 Gamer do not condone software piracy of any kind no matter how old it is! In order to play games on the BD-J emulator you will need game roms. Playing Home brew roms should be fine but playing copyright commercial roms is illegal. 1) With that said, in order to get the emulator going you need a USB drive and download this application. 2) Extract the application to the root of the USB drive. 3) Place any roms into the the AVCHD folder on the USB stick. 4) Plug the USB drive into the PS3, and go to the video section of the XMB (cross media bar). 5) Go to the USB drive and play the AVCHD application. 6) A menu will appear where you can select from your list of roms. We tested this using a free custom made homebrew rom and it worked like a charm. There seems to be some sound issue but I am sure future versions will have this fixed. No more paying for calls! You will need a headset (USB or Bluetooth) and an Eye Toy Camera. Connect both your headset and camera via USB or Bluetooth and go to your Friends menu. Select the friend you wish to chat to and press Triangle. Select Start Chat and type a message such as ‘video chat?’ for example. If they accept two windows will open showing you and your friend. You can even add up to six friend in one chat by pressing Triangle and inviting more people to join. Are you sick of watching video on your desktop PC or laptop? Download ‘Vuze’ a cool program which let you download a wide range of HD video and Torrent Files. Download a movie that you really want to see and get ready to view it in Stunning High Definition on your TV. Make sure both your Computer and your PS3 are connected to the same router in your house. Enable Devices in vuze (within the left side column) your PS3 will be automatically detected. Now drag your movie from the library to the PS3 option under Devices. 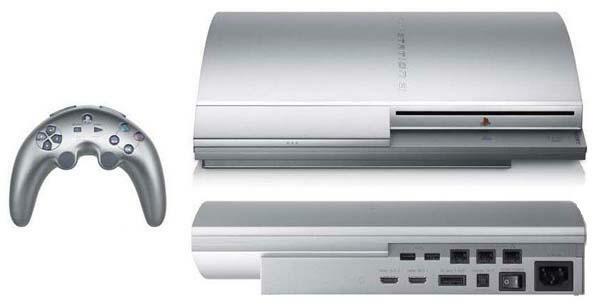 PS3’s use a Seagate Momentus 5400rpm 40GB/60GB/80/GB 2.5inch SATA drive. Simply buy a Seagate Momentus 2.5inch SATA drive of your choice, 120GB or even more. Remove the cover flap on the bottom of the PS3, undo the blue screw and the drive should slide out. Undo the four screws on the holder and remove the old drive. Put your new drive in and redo the four screws, slot it back in the PS3 and replace the blue screw along with the cover flap. Start your PS3, click ‘Yes’ to the message on screen. You can download anything you’ve bought from the store to five PS3’s. On your friends PS3 Create New User and log onto the store with your ID. You’ll now be able to go to your download and see that you’ve already downloaded whatever it was that you paid for. You can now download it again giving it to your mate for free. You could spit the cost of add ons such as Map Packs for Call of Duty! Put your photos in a folder called ‘PICTURE’ or your videos in a folder called ‘VIDEO’ or simply force your PS3 to look at your files on your stick regardless of what you called them or where you put them. Insert your stick and go to the menu option you want (Photos, Music, whatever). Press Triangle to bring up a menu and choose Display All. This will show every file on the stick. It even works for a plugged-in iPod, though the multi-folder structure you’ll reveal is a bit baffling. Still, your songs are in there, if you’ve got the patience to find them. 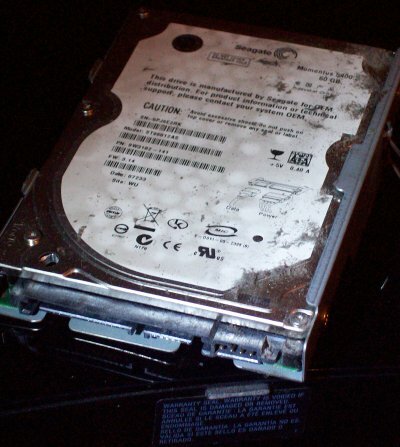 An Ubuntu version for the PS3 burned on a CD. For information on how to burn iso files to a cd, see this page. Installing the other OS is what it all about, You can choose the command line style loader included with the cd image you downloaded, but you can also download a custom loader called “petitboot”, I strongly recommend to use petitboot, as it makes it easier to switch between different resolutions or “kernels”. Insert the disk you burned into the PS3. And connect the keyboard and mouse. Note: There are more accurate guides avaliable for those who want to install 7.10 or 8.04. Following this guide will probably be fine, but for more details follow those link! Now you’re done setting up your PS3 it’s time to actually install Ubuntu on your console! This chapter assumes you downloaded and burned a version of Ubuntu on a CD, so if you havn’t done that yet you should go back a little and follow the guide. Enter a hostname for the system - like “psubuntu”. When asked how to partition the disks, choose option 2: “Guided - use entire disk” (meaning the 10.7GB you formatted from the XMB in step 1?). System clock - Yes to UTC.